Canada’s federal budget contains a tweak to cannabis excise taxes for edibles and other extractable products that will be made legal later this year, as well as a sign that the government isn’t generating as much tax revenue as expected from the legalization of recreational marijuana last year. The federal government is proposing new excise duty rates for cannabis edibles and extracts, including oil and topical products, in its budget released on Tuesday. The new rate will be determined by the total tetrahydrocannabinol (THC), the primary psychoactive compound in cannabis, contained in a final product. “The proposed THC-based rate would alleviate compliance issues that producers have encountered with respect to the tracking of the quantity of cannabis material contained in cannabis oils, and would allow producers and administrators to more easily calculate and verify excise duties for cannabis edibles, extracts and topicals,” the government said in its budget documents. The proposed rate equates to $0.01 per milligram of total THC and will come into effect on May 1. The current excise tax for dried flower products is $1 per gram and will remain unchanged, according to the Finance Department. The government also forecasts $12 billion in revenue from “other excise taxes and duties,” (OETD) which includes cannabis excise taxes as well as tobacco-related taxes, in the current fiscal year. That’s down slightly from the $12.1 billion Ottawa projected in last year’s budget for the current fiscal year. Looking further down the road, future fiscal years also show a slight $100 million decrease in the OETD category. “OETD revenues are expected to grow at an average annual rate of 1.1 per cent based on historical consumption trends as well as the forecast of cannabis revenue,” the budget said. That’s down from the 1.3 per cent average annual rate the government forecasted in last year’s budget. The federal budget didn’t include any specific forecasts for revenue derived from cannabis excise taxes. In the fiscal 2018 budget, the federal government said it anticipated it would generate $35 million in tax revenue from cannabis, growing to $100 million in the fiscal 2019 year. Since Canada legalized cannabis in October, sales of legal pot have been hampered by a range of hurdles including inventory shortages, quality issues and prices above what the illicit market charges. Annual spending in the legal cannabis market is estimated to be $1.2 billion, while the black market has seen a near four-fold increase, according to recent Statistics Canada figures. Ottawa also plans to spend $2 million in funding for the Parole Board of Canada and the Royal Canadian Mounted Police to expedite access to pardons for Canadians previously convicted of simple pot possession charges. 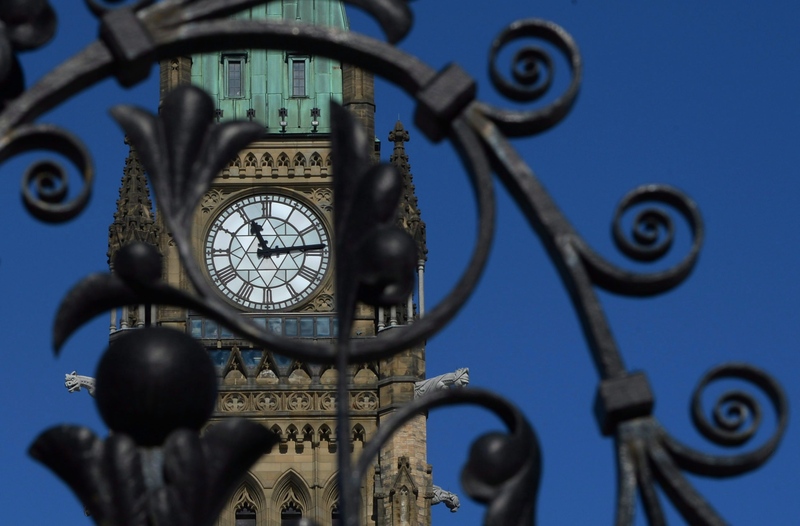 Are you more confident in Canada’s economy after the budget?